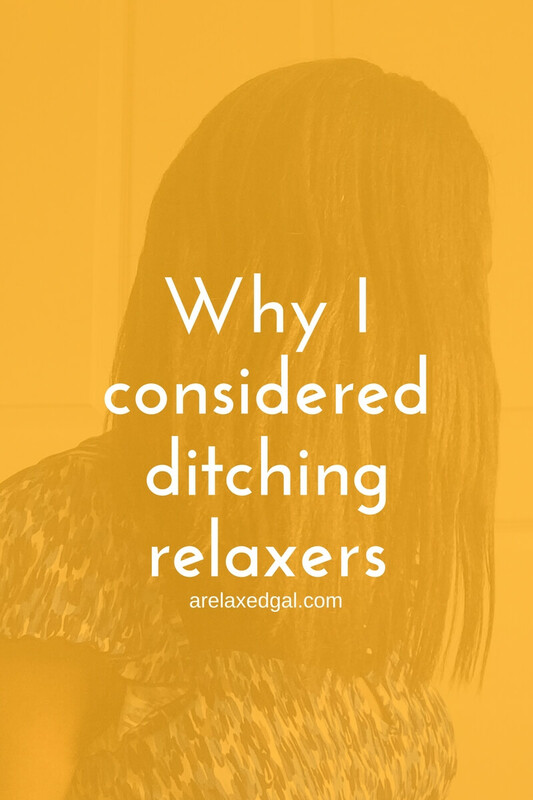 I seriously considered ditching relaxers. After my last relaxer touch up I got fed up with stylists, relaxers and my hair. This frustration only grew as I got deeper into my relaxer stretch. I was dealing with two textures and trying to find a new stylist. I started going back and forth on whether or not it was time to step away from the relaxers and maybe move to Brazilian Blowouts or Amino Acid Treatments. I even went so far as searching for stylist in my area that offered one or the other or both. After much contemplation i decided to give the relaxer one more try with another stylist. To find the new stylist I got on StyleSeat and searched for hair stylists in my area and looked for keywords such as healthy hair, taking care of your hair in their profiles. After weeks of searching I finally found a couple of stylists who looked like they could be contenders. So I contacted them and only heard back from one. I schedule an in-person consultation with her. During the consultation the stylist had me fill out a questionnaire asking me questions about the products I use on my hair, my hair type, how I care for my hair and any issues I may be experiencing. Next she and I talked for a few minutes about the answers I put on my questionnaire. During this time she was putting her hands in my hair to see what it was like for herself. I've had other consultations where the stylist didn't touch my hair. I've learned it's a bad thing if they don't put their hands in your hair. We also talked about the stylists philosophy of hair care, the products she uses and her process for relaxers. I also asked some questions of my own. After talking with her I felt we were on the same page about a lot of things so I scheduled a touch up. Now it was time to start prepping for my relaxer touch up. Next came a 15 minute deep conditioning treatment under a hooded dryer. 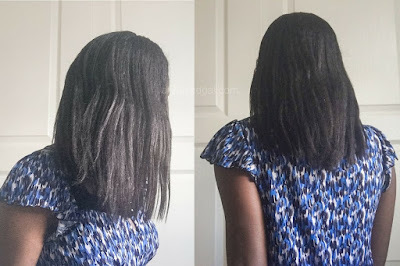 About three days after the touch up, my hair felt weighed down and flat. I couldn't go a full week before washing my hair so about three days in I went ahead and clarified with Ion Hard Water Shampoo, deep conditioned and did a hard protein treatment. I think I'll be doing hard protein treatments more often as my hair felt awesome afterwards and I didn't experience any breakage. I also started using a new daily leave-in the stylist recommended that I applied after drying my hair. Since my relaxer touch up I've strayed from my once a week wash schedule and started washing my hair whenever it says it needs it. This means I typically wash about twice a week - once mid-week and once on the weekends. To keep my moisture levels up I've been doing more co-washing. One thing that has gotten my attention is I've been experiences a lot of dry, itchy and flaky scalp. I'm thinking it could be a result of the relaxer, but the issue didn't pop up until bout two weeks after my touch up. The itchiness, dryness and flakes could also be due to stress from my new house purchase and moving. Or from being exposed to dry air from air conditioners all day. I'm not sure and unfortunately I may not be able to pin it to one cause. How did your last trip to the stylist go? I always go to the stylist to thin out my super thick hair, so he kinda has a standing appt for me haha! Nice! How did you find your stylist? It's not easy locating a good stylist like that. Agree. Finding a stylist you like and feel comfortable with is really hard. Hopefully this will be the one for me. How do you search for a stylist? Enjoyed this post because I am considering the same thing as we speak! Thanks for reading Kendall! Are you thinking about going natural or transitioning to Brazilian Blowouts or Amino Acid Treatments?